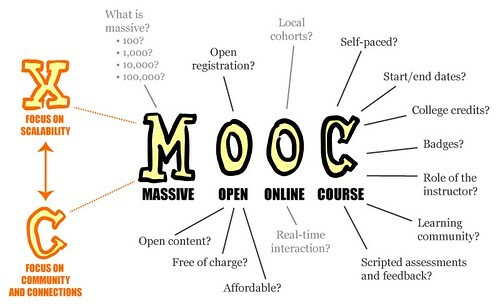 MOOCs – or massive open online courses, offer free or low-cost access to top-notch courses taught by university professors and professionals. Whether you are just starting out or are a seasoned professional – you are sure to find information in the following five free courses to enhance your photography skills and knowledge. Practice of Art 8 is a series of twelve videotaped lectures by John S. McNamara offering an introduction to visual thinking. Especially relevant is Lecture #3, “Writing in Light”, which is all about photography. Technological advances and image interpretation are some of the topics covered in this lecture. Previous Art 8 student projects are also reviewed. This course, by Anna Divinsky, offers a hands-on introduction to art making for students without any previous art experience. Of particular interest is Week 4, ‘Stories Through the Lens’, which focuses on black and white portraiture photography. Keep an eye on this site to sign up for future course start dates or click on the link to download the free iTunes e-book which covers most of the course content. This course, taught by professional photographer Jerad Hill, offers guidance on how to develop basic photography skills. You can start this course any time and go at your own pace. Short video segments totaling over 4 hours cover subject areas such as: Getting to Know Your Camera, Understanding Light, Know Your Settings, and Know Your Subjects. After each section, you can test your knowledge by taking a short quiz. The Art of Photography is taught by Shane Hulbert of Australia’s RMIT University. It is offered over a four week period through the use of short video segments, quizzes and weekly assessments. The course covers camera and image editing basics, as well a look at key contemporary photographic narratives. And every student who successfully finishes the course receives a Certificate of Achievement. Sensing Place: Photography as Inquiry is presented in a series of eight videotaped lectures as given by visiting professors at MIT in the Spring of 2006. The course “… explores photography as a disciplined way of seeing or investigating urban landscapes, and expressing ideas.” Class assignments are also available, although there is no grading or feedback on any of the work you decide to complete. If you choose to take one of these MOOCs you will be in good company. A recent news story reported that from June 2013 to June 2014, the total number of MOOCs offered worldwide increased by about 327%. And to date almost 50,000 students have signed up for “Photography: Ditch Auto – Start Shooting in Manual” alone. If you are looking for more courses, you can check out our earlier post on 5 free online courses from top universities. 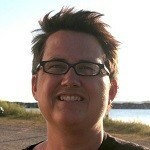 Andrea Clegg is a Montreal-based photographer whose interests include sport, landscape and urban photography. Check out Andrea's zine, or find her on Flickr.